Not sure what is going on with my brain. Posting late once again. Spring has finally sprung here in my area. 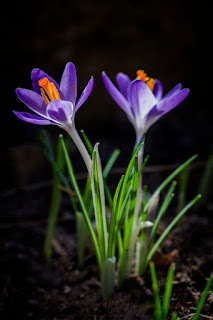 I have a few Crocus up and these are 2 of them I captured on Sunday.